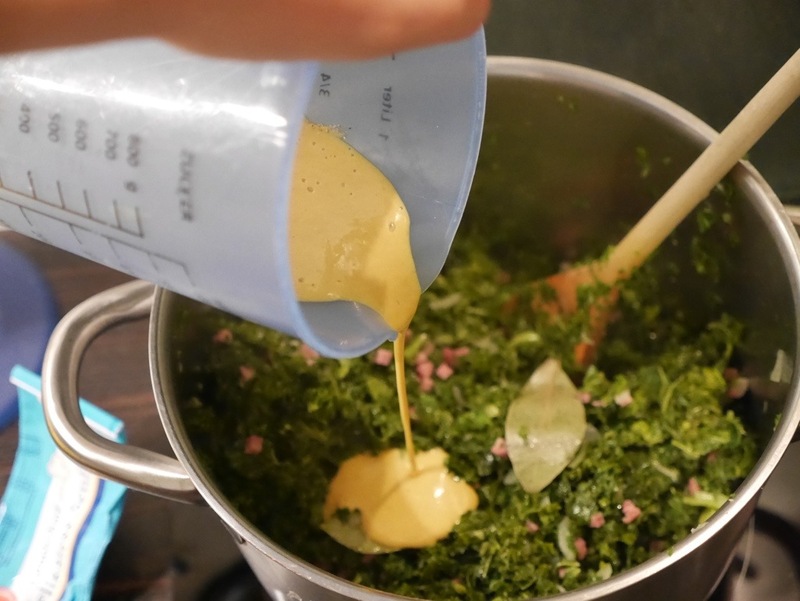 Wash the kale and put it into a big pan with some oil and add a bit water. Add chopped onions and bacon (I tried bacon for the first time and really liked it). 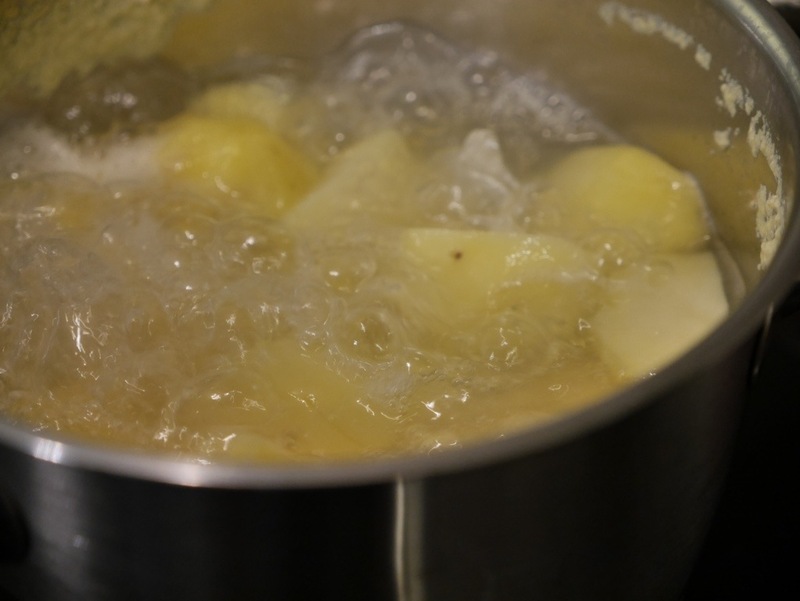 Meanwhile, peel the potatoes and cook them in salted water. 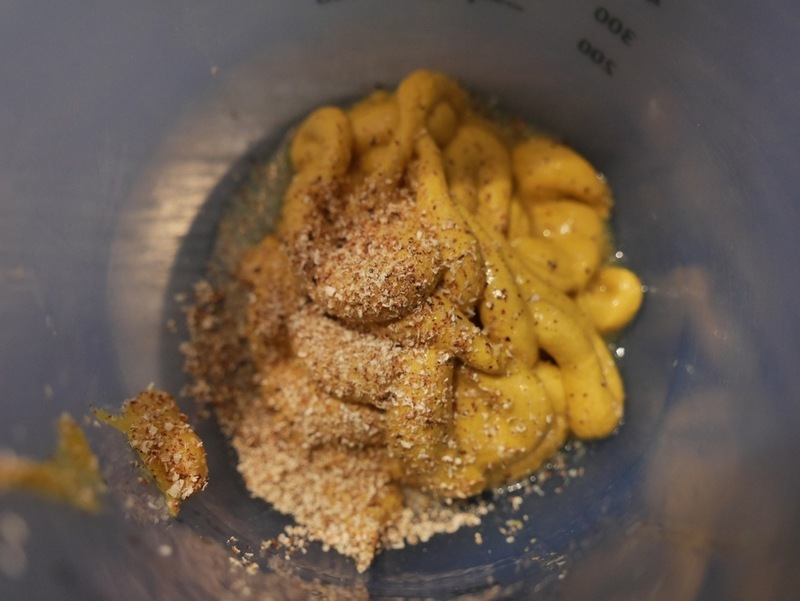 Mix mustard, fresh ground nutmeg, salt and pepper with water. 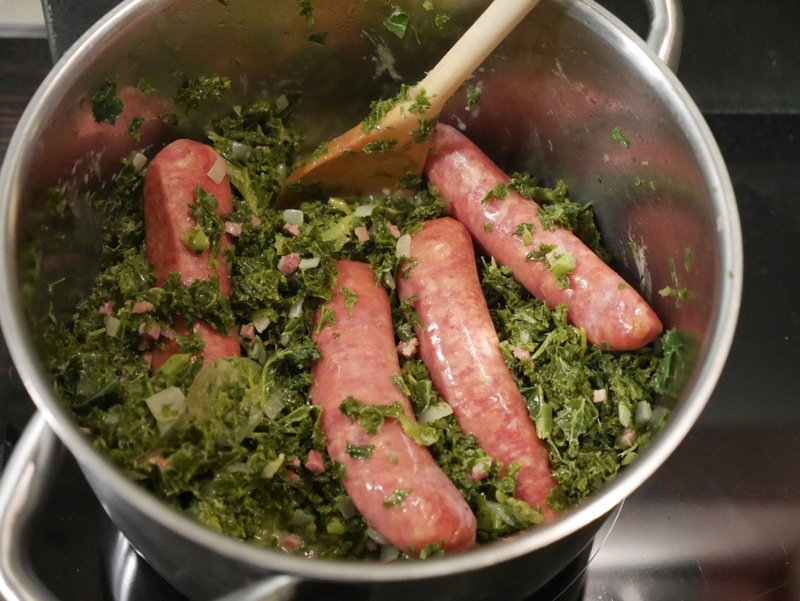 Pour the mix into the simmering kale and add the bay leaves. 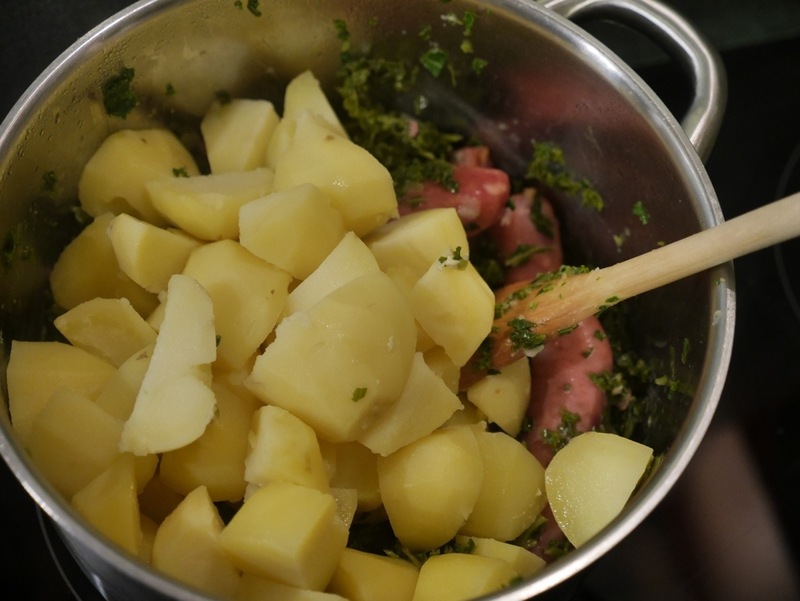 Let simmer for a bit and then add the sausages and potatoes. Stir well and let the whole dish simmer on low for about an hour. Occasionally, stir so nothing gets stuck to your pan. Add water if necessary. This dish tastes best on the next day, add some more mustard if preferred. 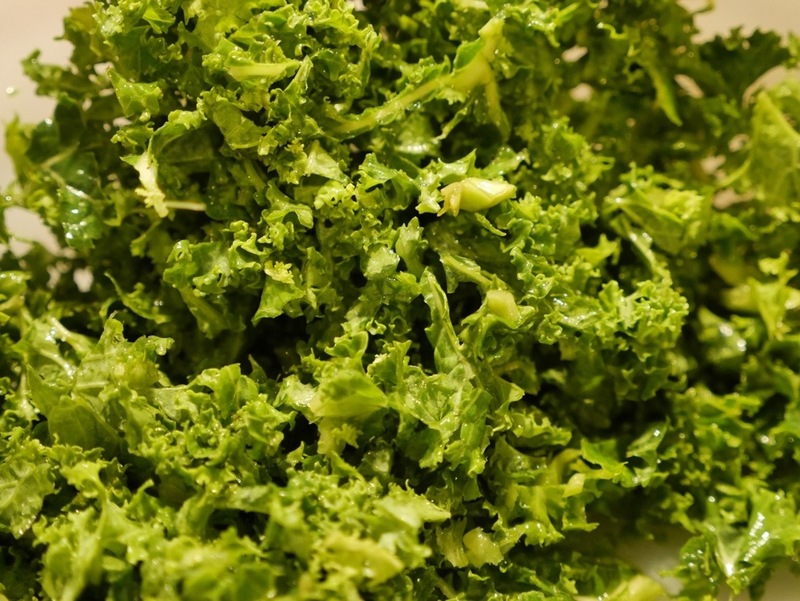 In Germany, kale is only eaten as soon as it has frosted – if the kale has not had frost, it doesn’t taste strong enough. 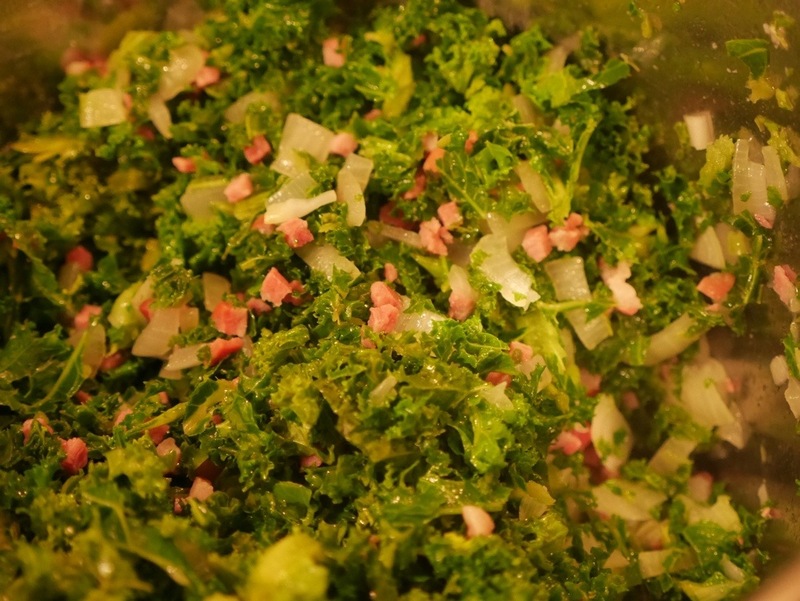 It is helpful to put your fresh kale in the freezer for 2 days in advance to get the full aromas. 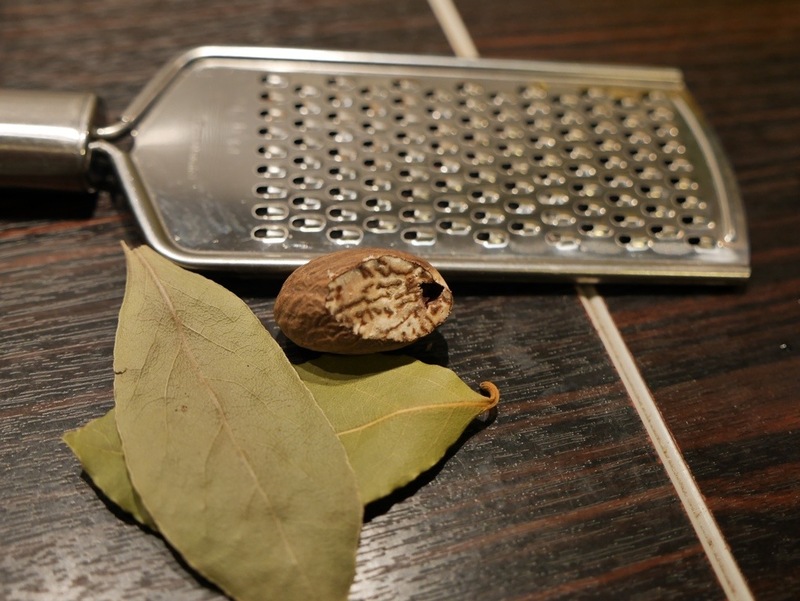 Then prepare as described. Enjoy!